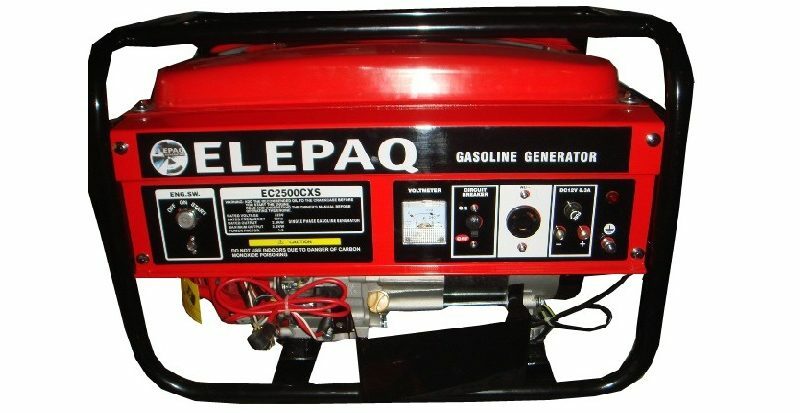 Elepaq generators are one of the popular brands of generators in Nigeria. It is not only their efficiency and effectiveness that make them the top choice in many Nigerian homes, but also their affordability compared to other brands of generators. Although Elepaq generators come with a lot of advantages which I’m going to list later, you might want to note that this brand is quite noisy compared to other brands. So you should take that to mind before settling for any of the models. 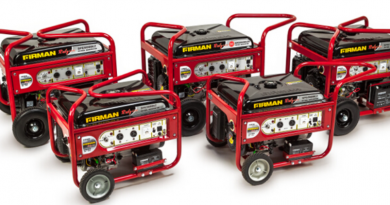 In this review, we’ll be looking at Elepaq Generators prices in Nigeria. 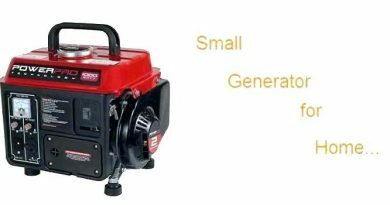 I’ll provide you with a guide to help you when buying generators and list several reasons why you should make this generator brand your first choice. Prices of Elepaq generators will differ due to some factors such as power rating, features, and brand type. A 2.5KVA generator will normally cost less than a 3.5KVA generator. Also, the brand comes in different models. Elepaq SV3500E2 with a 2.5KVA capacity will cost you N100,000 while Elepaq SV4800 of the same capacity (2.5KVA) will cost you more. Below are the current prices of Elepaq generators in Nigeria. Note: Although this is the current prices of Elepaq generators, they are subject to change based on your location, season, and the sales person involved. Elepaq generators can be bought from generator distributors nationwide. The brand is quite popular, so you can also find it in any generator market. Buying from distributors gives a good bargaining chance and you can also buy in bulk at a wholesale or retail price. You can also purchase one from e-commerce sites such as Jumia and Konga. But you should be careful when buying from random e-commerce sites to prevent buying counterfeit products. Buying from e-commerce sites means you can’t bargain for a lower price and you might have to buy at a retail price. Another disadvantage could be poor discounts on bulk purchases. Always take your receipt and check the warranty of the generator before making the purchase. Also, take note of the return policy for a wrong model or faulty generator. Although they are noisier compared to other brands, the advantages of using a generator from this brand definitely outweigh the disadvantages. Below are the benefits of buying an Elepaq generator. Spare Parts Availability: Being a popular generator brand means that you can get its spare parts from any generator market to make a replacement if need be. This advantage is what makes Elepaq a good choice to consider when searching for a generator set to purchase. Low Fuel Consumption: One of the low maintenance features of these generators is their ability to conserve fuel. This low consumption feature is another big advantage that makes it a great choice for those looking to save cost on fuel and maintenance. Rated Power: When buying your generator, it is advised you check the power rating. Generator power ratings are in KVA or VA or W. A generator with a 1.5KVA could power up a small house with few appliances. You would need one with a higher power rating to power a factory or business center. When settling for a model, it is important to buy one which has a higher power rating than what you require, to prevent exceeding the power rating limit. 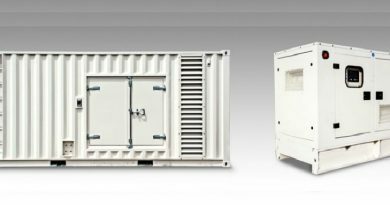 Size: It is quite obvious that you consider the available space for operating and storing the generator. Also, consider the direction of the exhaust to prevent the smoke from polluting your house or that of your neighbors. Starting Method: Some Elepaq generators come with the traditional recoil starter (rope). Although most people are used to this starting method, it wouldn’t hurt to get the key (kick starter) generator. The main hurdle in purchasing key (kick starter) generators is that they are more expensive. However, they are easier to use and highly recommended. Engine Oil: Even though most engine oils would work just the same, it is advisable to check the recommended engine oil for your generator brand. Sometimes the engine oil might be expensive, but using a cheaper one could lead to damage to your generator engine, which will cost you more to repair than buying the recommended engine oil. That concludes the review on Elepaq generators and their prices. Be sure to take your time when picking out the model and give a thorough check of the ratings, starting method and everything in the “things to consider” list before making a purchase. It is recommended you make a purchase from a distributor rather than an e-commerce site if you’re the type that’ll prefer to test run the generator before making the purchase.